This is the API documentation for the KDE game 'kwin4'. 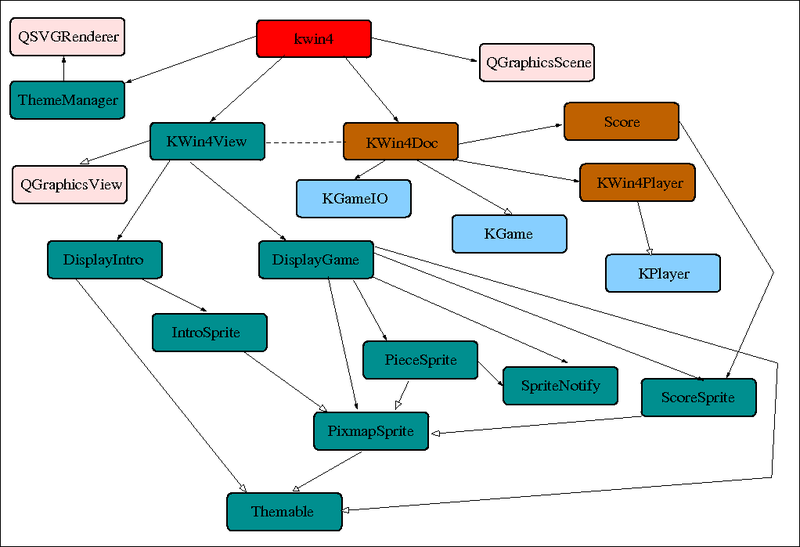 The design diagram shows the dependencies for the key classes of the KWin4 program. The coloring of the classes shows roughly their function in the groups (program, document and engine, display, QGraphics and KGame library).